This year was the second edition of DevNeuro Academy, the Centre’s flagship widening participation project. 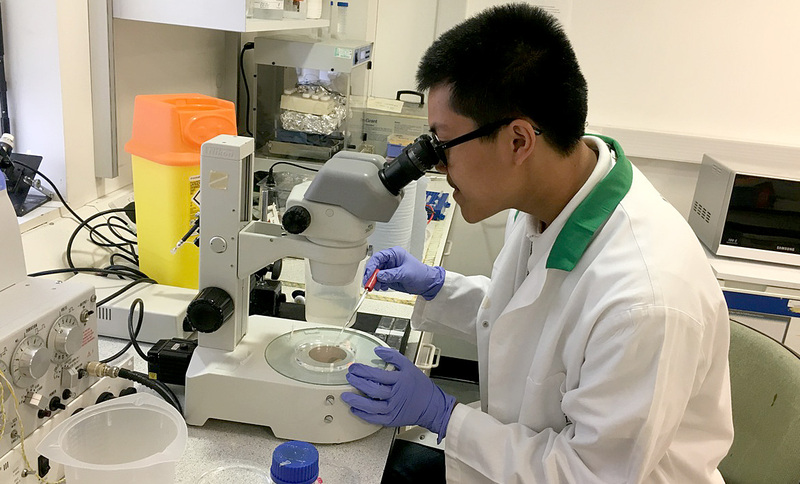 20 students from three south London non-selective state schools had the opportunity to witness and experience first-hand what it is like to be a researcher. 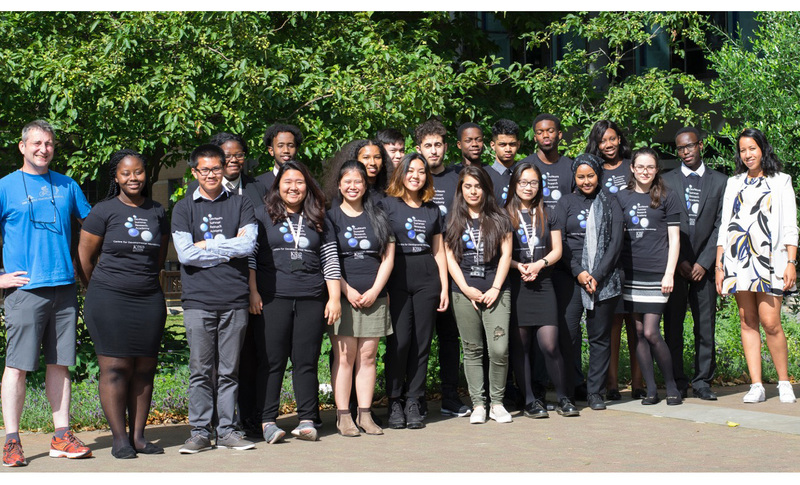 The DevNeuro Academy project aims to inspire underrepresented students to pursue higher education and prepare them for this endeavour. Indeed, 48% of privately educated children go on to study at a highly selective university, whilst only 18% of state school children, and a staggering 2% of children eligible for free school meals, gain such a place. This project’s ambition is to contribute towards changing these numbers. Kevin (student), St Michael's Catholic College. 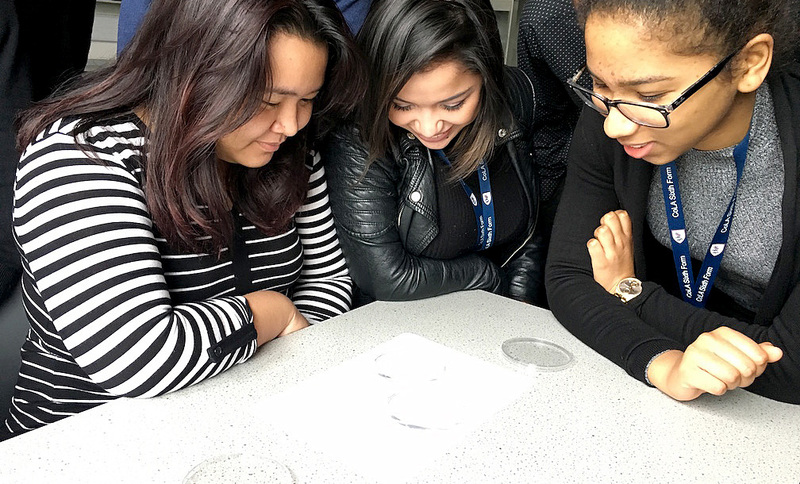 This year, the City of London Academy, St Michael’s Catholic College and Harris Academy Bermondsey contributed to the success of the second edition of DevNeuro Academy. Throughout the academic year, more than 20 PhD students and postdoctoral researchers from our Centre visited the local schools to deliver interactive ‘Discovery workshops’ on Neuroscience to nearly fifty pupils. Great innovation and interactivity happened in the classroom including origami-style protein folding, neurotransmitter ball and bucket games and Lego Mindstorm Braitenberg robots to explore circuits and behaviour. At the end of the workshops, students wishing to participate in the summer work experience could fill in an application for one of twenty spaces available. Nicole (student), City of London Academy. During two weeks this summer, students lived the life of researchers. Guided by a postdoctoral researcher or a PhD student, they learned various molecular and cell biology techniques, from injecting GFP-tagged protein in rat neurons to monitoring two neurons communicating together. 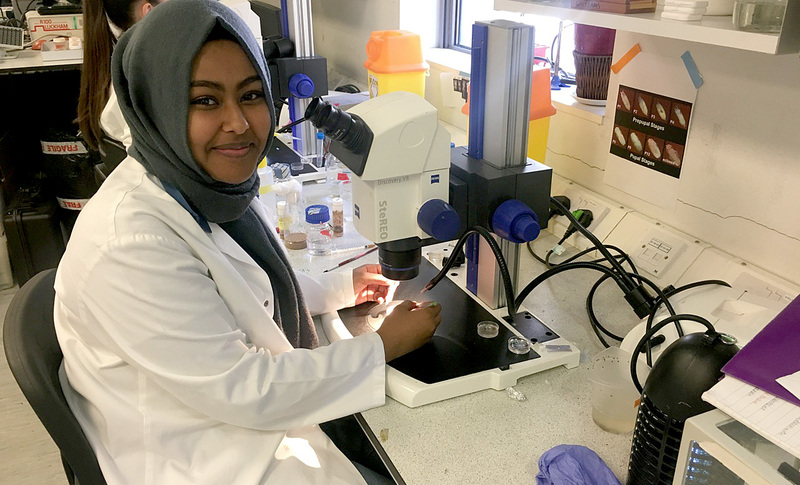 The students also had the opportunity to visit some of King’s cutting edge core facilities such as the Nikon Imaging Centre, where they saw state-of-the-art light microscopes, and one of the largest standalone zebrafish facilities in Europe. Students also had lectures on how to master their personal statements and managing their finances. Clémence Bernard, postdoctoral researcher in the Centre. The programme concluded with a graduation ceremony, which was attended by their supervisors, teachers and family members. After two weeks of exciting discovery it was time for the students to present their research results through scientific posters or presentations! Join us for the next edition of the DevNeuro Academy project that starts this September!